In experiments with human cells and live mice, researchers showed that disabling the mechanism—with drugs or gene manipulation—crippled the cancer cells and inhibited their capacity to spread. Some 90 percent of breast cancer deaths occur with metastasis, when the disease moves to other organs or parts of the body. Scientists have struggled to understand how cancer cells manage to remain hidden—sometimes for decades—and what, exactly, triggers their reawakening. "Our results suggest that breast cancer cells can survive, undetected, in patients for long periods by using a cellular process known as autophagy," said co-author Kent Hunter, a researcher at the National Cancer Institute (NCI) in Bethesda, Maryland. Autophagy occurs when any cell—healthy or cancerous—reshuffles internal components to survive in a stressful and nutrient-poor environment. This allows the cell to partially shut down, entering a state similar to hibernation. The findings help explain why current treatments so often fail to root out breast cancer cells that remain after surgery and chemotherapy. "Many of the traditional anti-cancer drugs are designed to target dividing cells," said Hunter. "Dormant cells, however, are not actively or frequently dividing, and are therefore thought to be resistant to these types of drugs." The fact that they are hiding elsewhere in the body also helps the cells escape localised treatments such as radiation. In an experiment, researchers led by Hunter's colleague Laura Vera-Ramirez injected dormant breast cancer cells into mice. Half the animals were given a drug that inhibits autophagy, while the others received a placebo or "dummy" drug. In a second experiment, they altered a gene that controls autophagy. 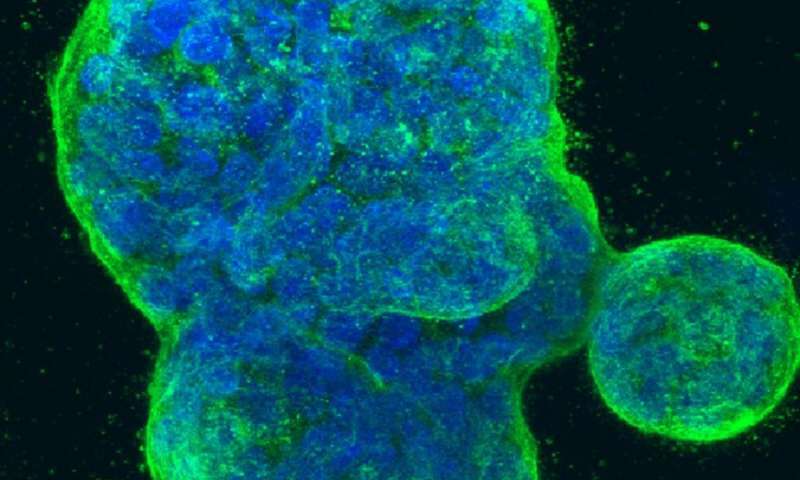 Both approaches "significantly" decreased survival of the cancer cells and limited their spread, the study concluded. Without recourse to autophagy, the cancer cells accumulated toxic matter and damage to their mitochondria, the energy-producing units of cells. The road to a viable treatment will be long, said Hunter. A clinical trial will have to be performed to determine whether the treatment would work in human patients. It is also unknown whether the findings apply to other types of cancer, he added.